Gone are the days of conventional marijuana use—dabbing is the new rage amongst weed enthusiasts everywhere. Perhaps you’ve seen a dab art piece by now, but did you know that the brittle, caramel-like substance can also be vaporized? Gone are the days of conventional marijuana use—dabbing is the new rage amongst weed enthusiasts everywhere. 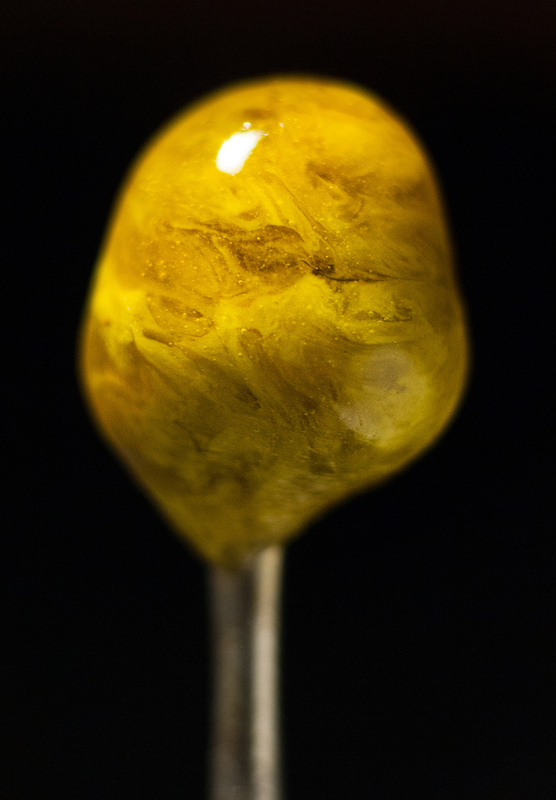 Perhaps you’ve seen a dab art piece by now, but did you know that the brittle, caramel-like substance can also be smoked? 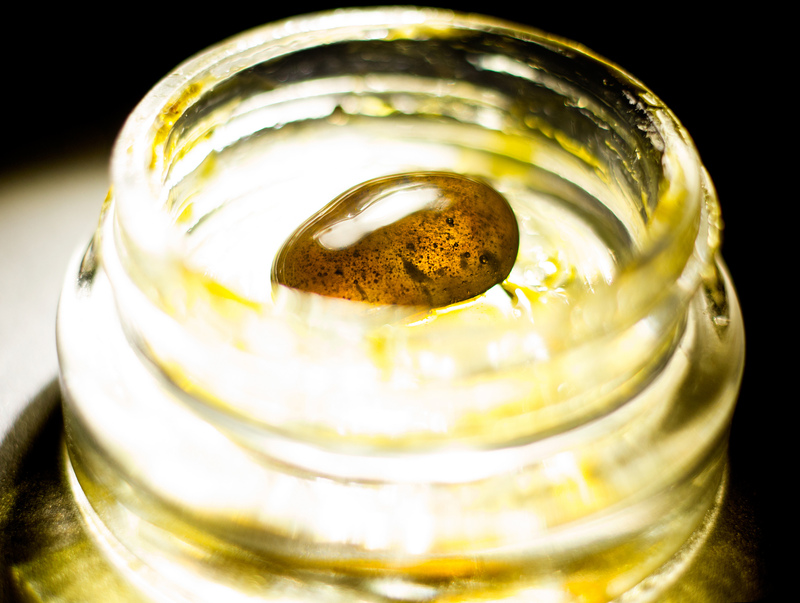 Dabs, or BHO (butane hash oil), are cannabis extracts that contain a much higher THC concentration (70-90%) than the plant alone. They are created in a process that isolates the active ingredient found in marijuana, THC, through the use of butane gas as a solvent. While dabs can also be produced via methods involving ice water and carbon dioxide, the butane gas method is what is most widely used. Once a dab is created, it’s usually smoked using a bong or pen vaporizer. The name of the practice is derived from the way it’s ingested, where the THC concentrate is “dabbed” onto the surface of a heated pipe, producing an inhalable vapor that will induce a speedy high. Dabbing has become popular as of late because it can induce a high using a smaller amount of the substance than if smoking weed conventionally. Given its THC concentration, a bit is all you need to achieve the desired effect, so resist the urge to go in with a huge dab if you’re a first timers! If you’re an experienced marijuana user, then dabbing may be worth experimenting with, especially if you have developed some level of THC tolerance. However, the practice is not recommended for novice cannabis consumers, as the induced “high” is amplified compared to the effects of smoking a joint. For anyone who’s ever introduced a newbie to marijuana, you should know that the first time effects could be too overwhelming for some people to handle. Research regarding the health implications of dabbing is still rather limited, though dabbers may be susceptible to developing a tolerance to marijuana. This can lead to withdrawal symptoms if you then downgrade back to your traditional joint. If you do plan on making dabs at home, make sure you take the necessary precautions as butane is highly flammable. In fact, most of the risks associated with dabbing are actually related to the process of producing a dab, not consuming.